If you think the government is wasting too many dollars on the census, this is your chance to help save some cash. It costs about half a buck to mail back your census form, compared to an average cost of about sixty dollars for the home visit. Now specifically to those who are protesting the Census or the over all government in general by boycotting the census. In the Orange County area the government has hired about 6 to 10 thousand part time employees to handle getting the required information from the residents. 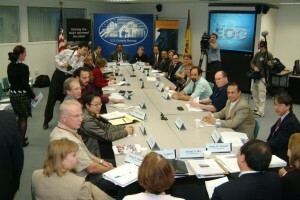 This money is spent here locally on local residents and helping the local economy. Thank you for creating some local jobs for us part timers to earn some extra cash. 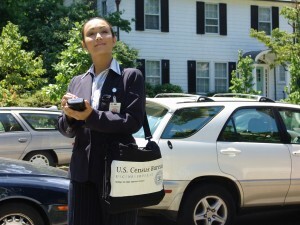 Census employee’s have a Canvas Bag and Employee Badge.